Robert Zemeckis and Steve Carell team up in Welcome to Marwen but this story is better told as a documentary rather than narrative feature. The town of Marwen is a fictional Belgian town that Mark Hogancamp (Steve Carell) creates while recovering from the brutal attack. An artist in real life, Hogancamp loses many of his memories following the attack. Basically, an American fighter pilot, Captain Hogie (Carell), crashes during World War 2, gets attacked by Nazis, and finds refuge in Marwen. There’s a serious side of PTSD that the film tries its best to examine. It comes through strongly in many ways but there’s other aspects that fall extremely short. Early on in the film, Hogancamp gets a new neighbor, Nicol (Leslie Mann). It’s not long before the two become friends even though he wants them to be something more. The live-action women are better depicted than their doll counterparts. This includes hobby store worker Roberta (Merritt Wever), Avalanche Roadhouse co-worker Carlala (Eiza González), caregiver Anna (Gwendoline Christie), GI Julie (Janelle Monáe), and adult actress Suzanne (Leslie Zemeckis). Going into the final weeks of the year, there were many questions surrounding the new film from Zemeckis. It wasn’t premiering at any film festival. The trailers didn’t do enough to sell the film in a way that made me excited to see it. I started to wonder if perhaps it could be the 2018 version of Downsizing. If you recall, last year’s film from Alexander Payne premiered to high expectations. The film would turn out to be one of the worst films in 2017. Even as I left the theater on following an early Thursday night screening, I found myself still unsure of what this film wanted to say about PTSD. While I get that I empathize with the pain that Mark Hogancamp underwent following the brutal attack on his life. I’m just not sure making a movie out of these dolls added what the film needed. I understand that Hogancamp needed Marwen as a way to recover but the women in this film are sexualized in nature. Yes, he pays tribute to the women he knows but their designs come off as very sexualized. Don’t get me wrong–the CGI design behind Marwen is impressive and the film is well-shot. Zemeckis is asking a lot from the audience but the whole real vs. fantasy just didn’t do it for me. If it were just the real guy taking photos, it would be one thing. Zemeckis takes things just a bit further by taking us into these fantasy world. Is it really necessary to do that? My immediate thinking is probably not. I don’t know where they went wrong in the script but there are many times in the second and third acts in which I found the film slowing down. There were only two other films in 2018 in which I truly wanted to walk out. Welcome to Marwen became the third film of the year. I willed myself to the end of the film but there’s a whole lotta meh going on. I call this film the Downsizing of 2018 because Zemeckis films mean high expectations. The same with that of Alexander Payne. The release of Downsizing came with charges of characters serving as racial stereotypes. While the same isn’t the case in Welcome to Marwen, it’s problematic in how the women are treated…at least in doll form. To call them hypersexualized wouldn’t be an understatement. I’m have yet to watch the Marwencol documentary. As such, I don’t know much about Hogancamp’s thing with wearing women’s shoes. There’s a comment about how wearing the shoes makes him feel a woman’s essence. I’m not even about to get into all of that. Despite high expectations for the team up between Zemeckis and Carell, Welcome to Marwen requires a U-turn at the earliest possible convenience. Universal Pictures opens Welcome to Marwen in theaters on December 21, 2018. 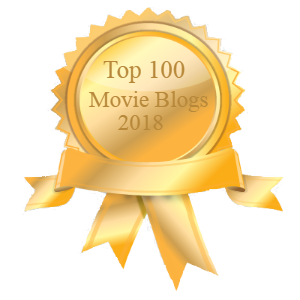 The post Welcome to Marwen: The Downsizing of 2018 appeared first on Solzy at the Movies.